So my house got invaded by termites. and my room's attic is in a bad shape after the carpenter checked it so I have to move out of my room to let the carpenter renovate my room. the condition aren't the best for me to work on the translation so yeah... I just took a loooong break. now the carpenter is done working so I can go back to my room and start working again. Thank you to 3 new patrons that summoned me back from the swamp of sloth! god, I need to at least do update once a week. that will be my target for now. thanks for the support and love in the comment guys! One step at a time, double update this time. Try to walk on my own two feet again one step of a time. After a month? Update! Double! CC and YGDA combo! in short: got some talks about continuing university (again) which made me goes blank for a few days... then my paypal account being not getting service anymore because of my lack of attention... tried to contact the support center but no avail and decided to create a new account... but found out that I need a new bank account to link my new paypal account... what a pain... ah well, I still need to do it anyway because I need it... and tried no fap challenge... which is hard... but I do really feel the difference. So I think I might do fasting for a few days to keep my body fit. I don't think I can jump straight to nofap90 at once lol. also, someone I used to hate is even feel worried about me. I kinda feel...... insulted somehow. ah well, after all I don't have anything for now. there's no use being arrogant. well, man, I don't really hate you, it's been so long anyway. It just that I psychologically don't want to have anything to do with you so well, sorry for being ignoring you. Got a relapse. sorry guys. well, got problem with paypal and adsense which doesn't help my mental health too but... well... slowly trying to get over it. 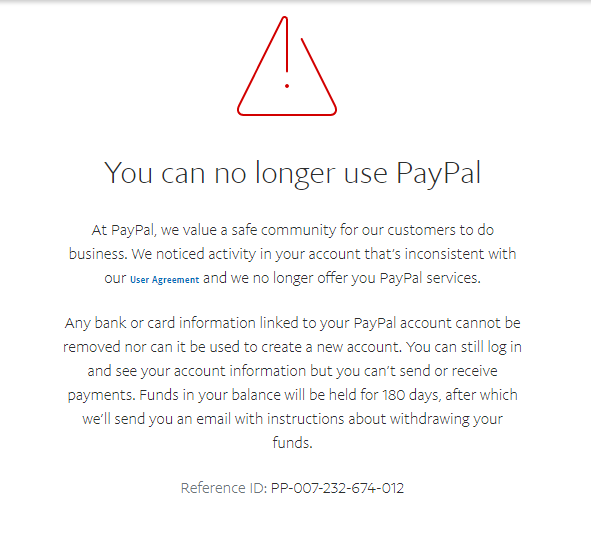 not update, problem with paypal. 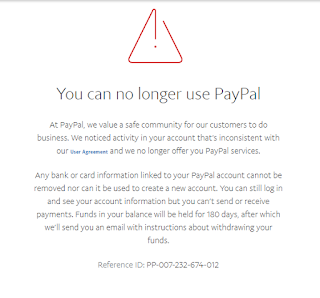 So for donors, I'm sorry but my paypal currently under some trouble so you can't donate using paypal. anyone that can help me in this problem is welcomed. Finally done with the update. sorry for the long wait folks. still need to put more omph to speed up my work. 1st: Thank you for Donor, Raymond L.! you give me some coffee money after I just returned. I really appreciate that. thank you! and thank you again! 2nd: Something weird with adsense. I think it was because my blog suddenly surge with visitor so adsense goes haywire and block some ads in some page for having 18+ content. does story about suckling get into the 18+ content I wonder? and the weird thing is, the page being blocked is a page with nothing on it. well, as I am going to renovate the website, I just let it lying for now. 3rd: Midehira ask for Patreon, here I come with patreons! I am still new to patreon so I still don't know much about it. feedback is welcomed. 5th: my parent suggest me to join a hypnotherapy seminar to learn more about hypnotherapy and mainly how to do self hypnosis to help me build confidence and willpower to work. well, I think I am a bad receptor for hypnosis as I previously tried the therapy from a professional but getting no result. so anyone knows of the good way to self hypnosis to help my psychological problems? anyway the seminar... it was good at first, talking about hypnotherapist-chick stuff... but it was later become opening cakra gate for energy treatment and whatsoever that I was especially doubtful with. ah well, let's try for a few meetings to get some more acquaintances.